Dr. Seuss "Hop On Pop" by Dr. Seuss Enterprises. 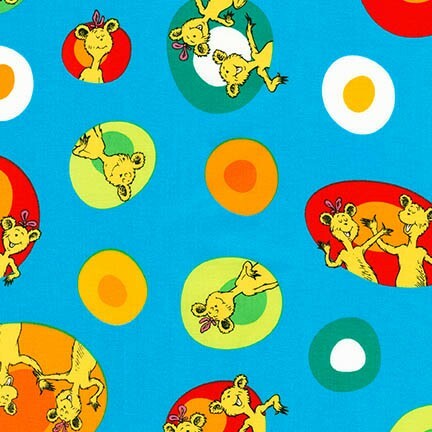 Story illustrations with large green, white, yellow, orange, and red polka dots on light blue background. Sold by the yard.